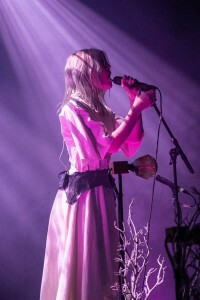 Europe – Like a physicist who turns a mind-boggling array of equations into a single, elegant theory, Danish sensation Myrkur captivates audiences by weaving wildly different musical influences into a single performance experience that is as beautiful in its simplicity as it is unsettling in its complexity. 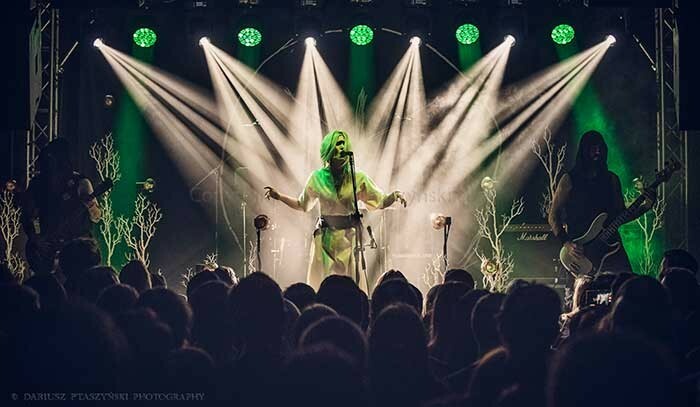 On her 2018 northern European tour, which ended 22 December, the gifted multi-instrumentalist dramatised the breadth of her musical vision by dividing her show into two distinct parts: the first devoted to traditional folk music, the second to black metal. Despite this stark contrast, the show flowed seamlessly, driven by the artist’s passionate performance and supported by a multi-faceted production design by David Howard with a light show that was run on a ChamSys PC Wing. “The show itself is split into two,” said Howard. 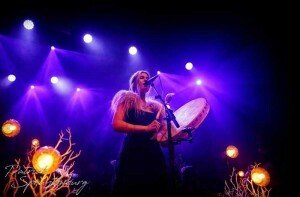 “It starts with Folksange, a set of folk music from all over Europe played on traditional instruments. Afterwards, the stage falls to darkness before transitioning into an atmospheric black metal set. The show is designed to progress, with the metal set juxtaposing Folksange, but both have consistent design elements. Key to creating this unifying design was the floor package that Howard created. Consisting of ten 'trees' of varying heights topped with LED tungsten-style lamps fitted with special RGB backlights fitted in custom-fabricated mounts, the design evoked images of a forest of light on stage. 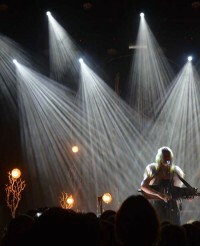 To distinguish the two sections of the show, Howard used the LED filament for the folk portion and then turned down the intensity level with dynamic strobing and colour effects for the black metal set. To augment the compact floor package he relied on in-house rigs. The tour passed though a very wide range of venues, some with an in-house rig of over 60 automated fixtures, and others with almost no house lights. “Using the resources at hand to make a show with the same level of atmosphere was sometimes challenging, given the wide discrepancy from venue to venue, but it proved to be a very rewarding experience,” said Howard. Working with his floor package and assortment of house rigs, Howard was able to create an engaging multi-faceted show night after night that looked ethereally beautiful for the folk portion with warm colours, silhouettes and backlighting, then became more punchy with beams and gobos during the metal section.